Government has dismissed the rumour that it has given green light to fuel companies to sell in US Dollars so that they can generate foreign currency on their own without government allocation. The rumour also said there will be increase of fuel from Monday. Read the message: Government has encouraged oil companies to procure fuel on their own and sell in the currency of choice as it is a multi currency system, indirectly approving USD. Form Monday fuel companies will be selling both products Petrol n diesel in USD. Petrol $1,15usd and R18 per litre , Diesel $1,10usd n R18 per litre. In response the Ministry of Media Information and broadcasting said, "There is no government policy allowing all petrol stations to sell fuel in USD only. Cabinet has not approved such an arrangement. Fuel stations are advised to limit the number of cars on the forecourt at any one time so as to avoid a disaster in case of a fire." The Ministry further said all currencies are legal tender and must be accepted at service stations. "All currencies in the basket, including Bond note, which is pegged at 1:1 with the USD are an acceptable form of tender. There is no discretion to exclude other currencies in the basket. 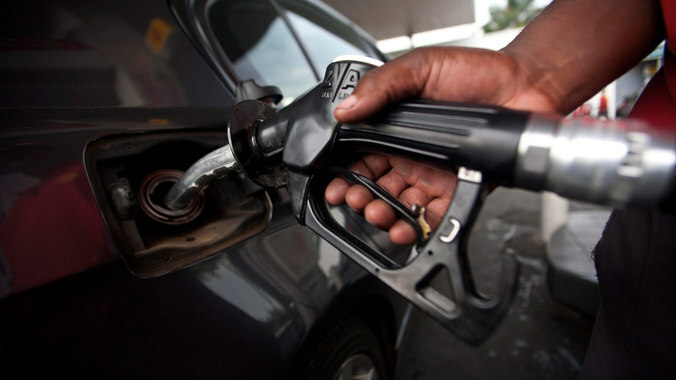 "There are no fuel increases on Monday and Government does not have a fuel rationing system, however fuel retailers have suggested limiting the amount one person can buy in order not to run out after only serving a few customers. This is the retailers' efforts to be fair and to ensure ensure equitable access to the commodity." Zimbabwe has been struck by a massive shortage of fuel since the disputed harmonized elections. The price of basic commodities has skyrocketed and there has been massive strikes by the junior doctors.